Amidst her busy schedule – school, CCA, and editing the scripts for the Performance Tour, Raemae took some time out to speak to us about her play – Mixed, a winning play from the Youth Category of TheatreWorks 24-Hour Playwriting Competition 2016. Through our conversation, Raemae shared more about herself and the reason for basing her play on the theme of inter-racial marriage in Singapore. “Whenever I meet anyone, the first thing they always ask is ‘So…like, what are you?’ And I tell them, I’m mixed, and it’s a great conversation started. People will say, ‘I love mixed people’ or ‘mixed people are so pretty’. It’s very nice and sweet, but it also makes you think about all the times when it wasn’t. You think about how far your family had to push to get you where they are and then there’s name-calling and a whole lot of other issues. It’s not just about being mixed. It’s about being kind to people, regardless of what or who they are and the choices they have made. I think it’s very important to be kind, especially now, when so many people are finding different ways to justify why it’s okay not to be”. I can’t stand wine, but I will actually drink curry. What other roles have you been involved up besides playwriting? Well, I’m currently acting in my JC and I’ve been in drama for like 6 years now. What was the initial spark that made you start playwriting? In Secondary 3 my teachers were going to adapt Romeo and Juliet and they asked if anyone wanted to do it and I just raised my hand. I don’t really know why, but I’ve been writing plays ever since, so I’m glad I did. How did it feel knowing you were one of the winning plays from the 24-Hour Playwriting Competition? I died. I found out on the train and I just had a heart-attack. Why did you decide to write a play on being mixed and interracial marriage? Well, I’m mixed and recently I’ve just been wondering why my parents got married. Like, their parents didn’t react well… I don’t think they spoke for about 15 years. And I was just wondering what made them so sure about each other that they’d risk everything for each other. And being mixed, it’s not always easy. I’ve had it better than most. But people always look at you like you’re different, and sometimes they’ll say things that just belittle everything your parents have fought so hard for. A picture of Raemae’s interracial Family from her childhood. How was the process working together with the Director to further develop and craft your play? It was really, really cool because I’ve never really had a chance to work on a play like that. There was a lot of process and it really helped me a get a clearer hold on both the characters and what I wanted to say with my play. What are the challenges that young playwrights in Singapore face? And how do you navigate them? 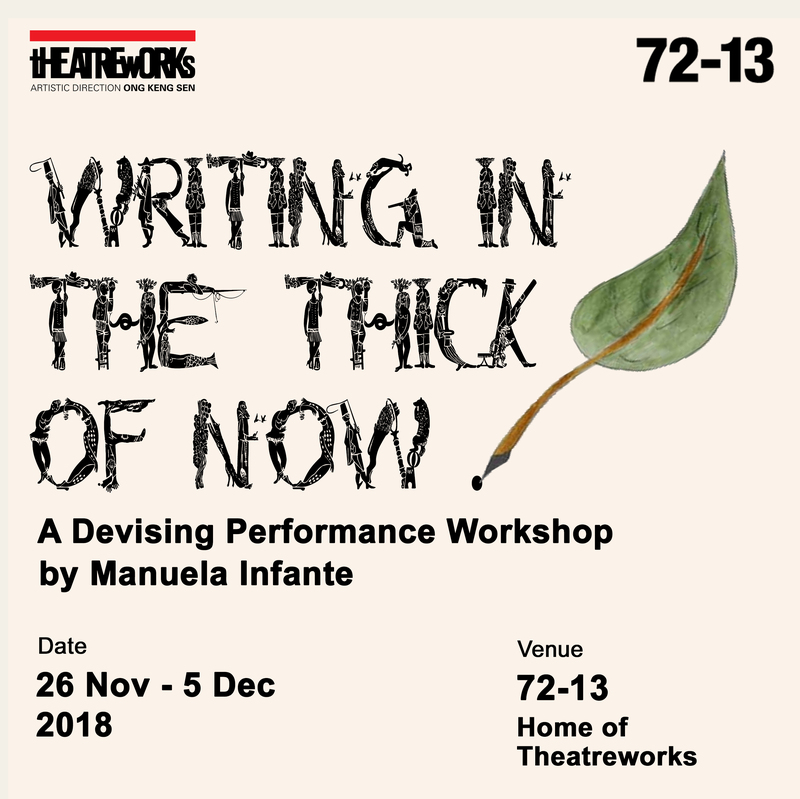 I think the main thing about being a playwright in Singapore is that people tell you that’s like not a real thing, and you can’t do that because then you’ll be a starving artist and die on the streets or something. But that’s not really true, is it? Haresh Sharma, Alfian Sa’at, they’re all still here, aren’t they? Theatre in Singapore is evolving and growing and there are more and more people who believe in it everyday. And we will starve, if we have to, to get our message across. Do you have any favourite playwrights and what about their work inspires you? Hmm… I don’t really have a favourite, but I loved Everything But the Brain. It made me cry. A lot. And it got me into writing Singaporean Theatre. Mixed is touring the South East District from 23 Feb to 11 March 2017.